DF: When you get that call that the employer has filled their positions and are very happy with you for helping them! DF: Management that sets their goals on trying to make sure we make our goals. DF: The fact that you can do so much of it online. DF: Enjoy my boats with friends and family! I also play the keyboard, albeit very amateurishly, as well as volunteer at senior homes and other local establishments. DF: At first I wanted to be an actor, but in a sitcom or as a TV host. I never wanted to be a movie star. After that, I always thought I wanted to be a weatherman or meteorologist. I’m kind of a weather geek, but apparently being able to pass science is a big part of it. DF: I’m not a big reader and I really don’t watch many movies. But one book I did actually read (and loved) was Lies My Teacher Told Me. As for movies, I enjoy old black and white movies, comedies, and law movies. Any movie that has a good courtroom scene is a must-see for me. DF: Don’t be too picky. 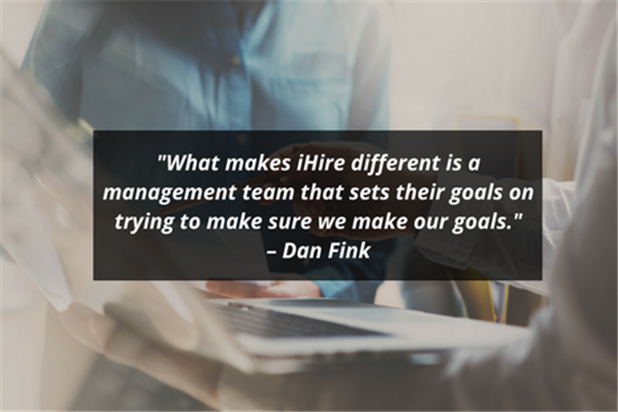 Ask yourself, “Is this the right time of year to be looking for the ‘cream of the crop’ in my industry?” For example, a landscape company who decides to start looking for help in June or July might have a more difficult time finding their ideal candidate. 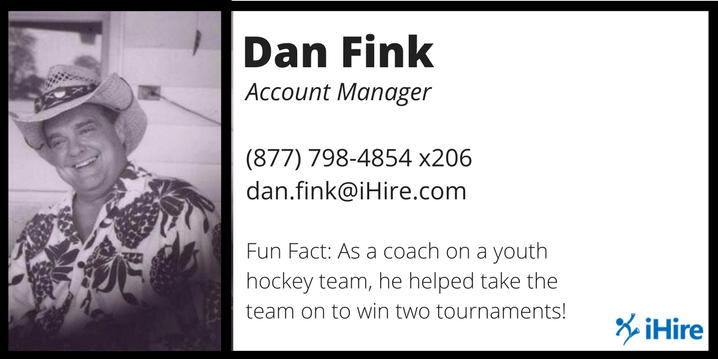 DF: As an assistant youth hockey coach on a traveling hockey team for 11- and 12-year olds, we played a 65-game schedule with a team that almost disbanded because we didn’t have enough players. We took that team on to win two tournaments and finished first in our local division. Even after being ranked 23rd out of 24 teams, in the state finals we took third place! That was back in the late 1970’s and I still keep in touch with some of the kids I coached from that team. Great memories.